The TODAY weatherman dished on his favorite pancakes, French toast, fried eggs and more! 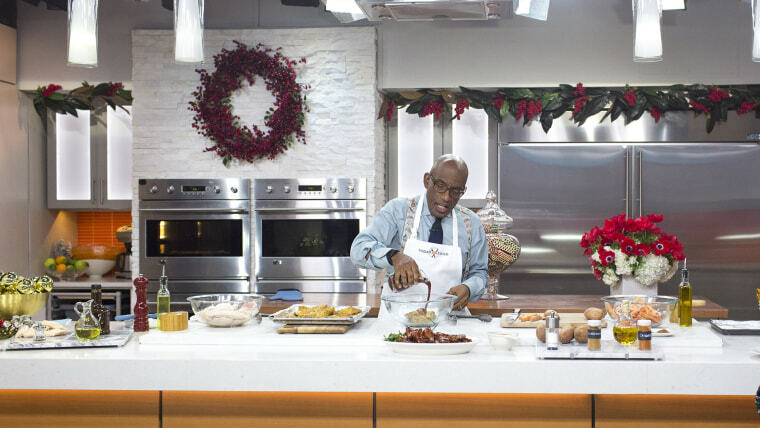 Al Roker is a true breakfast connoisseur. But when he's not busy whipping up French toast sticks or a delightful garlicky spin on avocado toast, he hits the road to let his favorite eateries treat him. This week, Al is featured in People's annual food issue, which hits newsstands nationwide Friday. The issue highlights the best breakfast gems throughout America, which the editors discovered by combing through thousands of Yelp reviews. In addition to rounding up Americans' go-to places to get their morning fix, People also asked TODAY's resident food specialist: Al. From his famous cold-brew coffee to homemade bacon waffles (yes, the bacon is cooked into the waffle batter) and even a healthy breakfast pizza with tomato and garlic, Al has the breakfast game down to a T.
"Pancakes, to me make breakfast," Al told TODAY Food. Us too, Al. Us too. So, on an intrepid quest for the nation's best pancakes, French toast, egg-filled skillets and more, Al shared his ultimate guide of where to eat in the a.m. and what to order. When to go: Breakfast with Gianni! on Monday, Tuesday and Wednesday from 8 a.m. to 11:30 a.m.
Hungry for more? Check out the full list of People's tastiest breakfast joints across America.